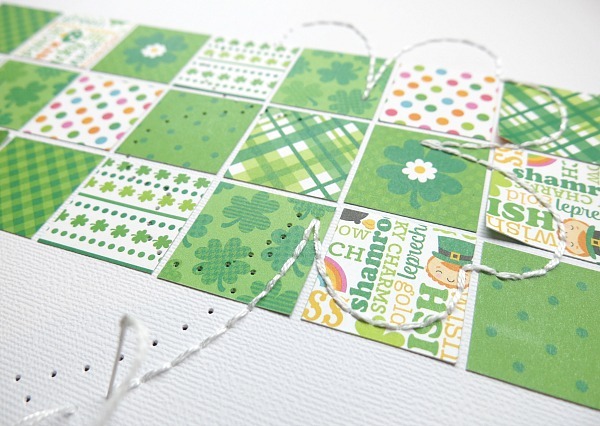 Hello Doodlebug peeps... it's Melinda with you today and I'm closing the week with another Pot O' Gold project. 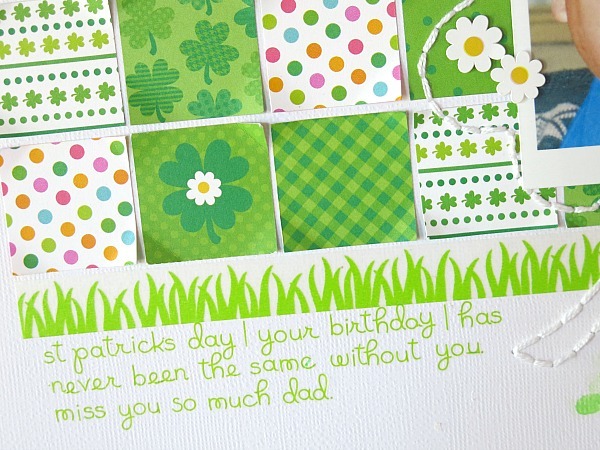 St Patrick's Day was always a day of frivolity and much celebration as it was my father's birthday, and yes, his name was Patrick. Sadly we lost him to cancer and St Paddie's Day has never been the same for our family. 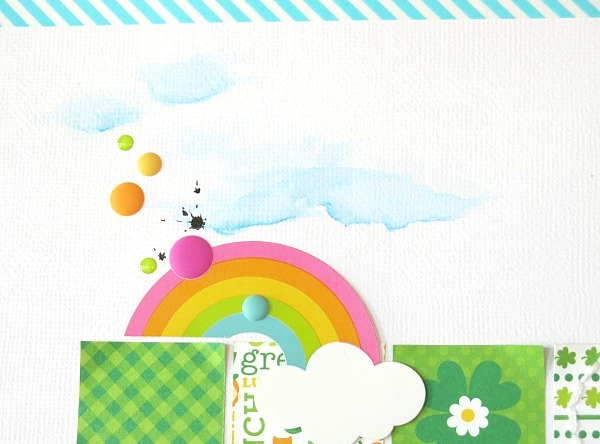 There were so many cute patterned papers with this collection that I decided I had to come up with a plan to use them all... I went with patchwork! 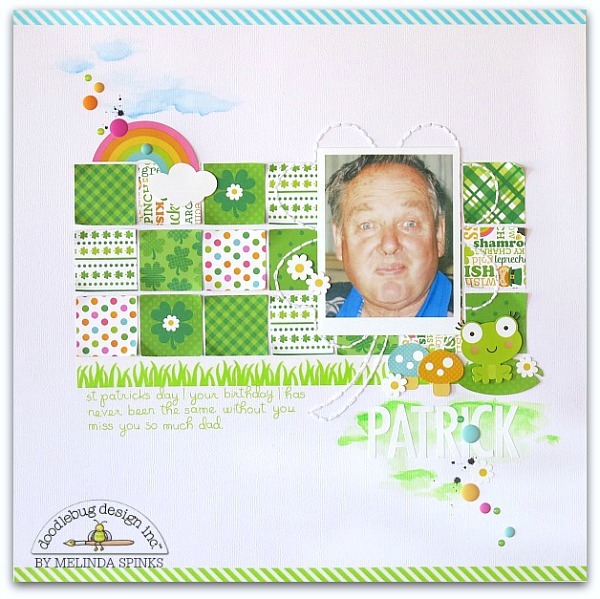 I always love hand stitching on my layouts so I decided I wanted a four leaf clover stitched over the patchwork to act as a backdrop for the photo of my Dad. 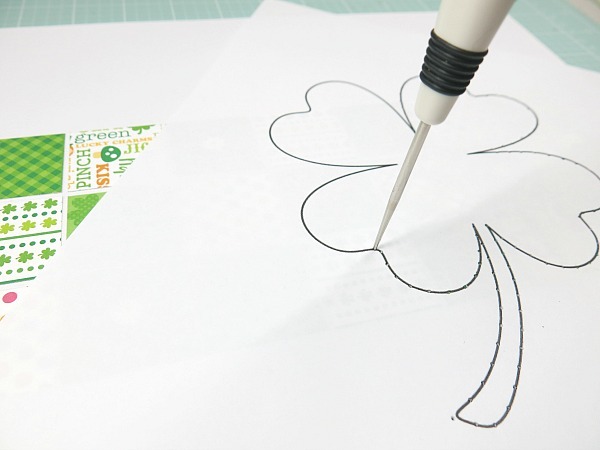 I printed out a template to use as a guide for the stitching. Once I'd finished the stitching it was all about embellishing... which just happens to be the most fun part of any project! I couldn't resist the super cute little froggy and the new matte finish on the sprinkles. I really wanted to use white alphas on my layout but they fused too much with the background so I dabbled with a little splash of water colour to allow just a hint more of the lettering to stand out. Then the layout seemed unbalanced so I added a touch more water colour to the top of the layout to even things out. 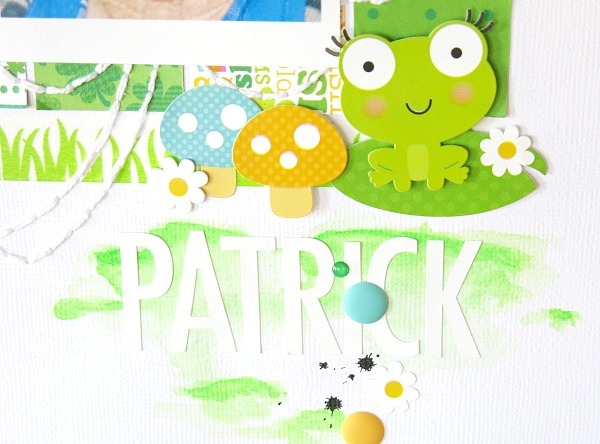 Well that's it for this week's Pot O' Gold projects, however, be sure to stop by next week for some bright and beautiful ideas using the new 'Swiss Dots Petite Prints'. This is so super cute! I love the stitching! This is just fabulous Melinda!!! Great page Melinda ... 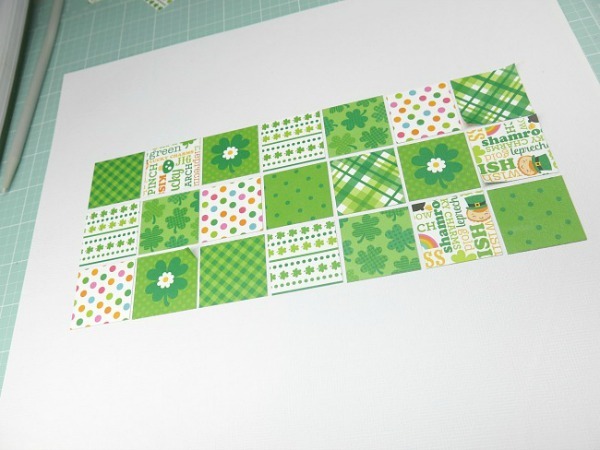 I love the block design and the stitched four leaf clover! !